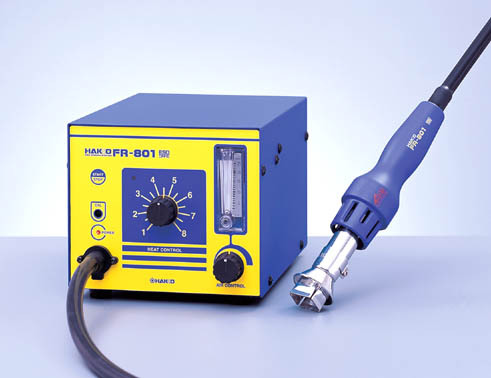 DIGITAL SMD REWORK STATION The FR-801 is one of the new generation of SMD rework systems from Hakko. The FR-801 features: A unique nozzle outlet for consistent temperature of the hot air stream generated by the unit. A self-contained air source. Easy-to-read variable airflow meter. Automatic cool-down automatically engages when stop button pressed. Compact design uses less work area than previous models. ESD safe by design. 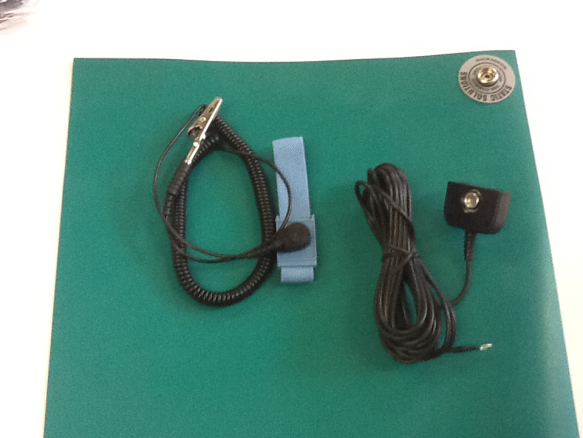 Part Number: FR801-11.